1993 Stadium Club #384 Michael Strahan Rookie VARIATION (NY Giants) in mint condition. This is the variation that is missing the '1993 Draft Pick' designation which is supposed to be at the top left of the card. 1969 Topps #132 2nd Series Checklist in exmt-nmt condition. There are 2 variations to this card. This is the no border on the front of the card variation. 2003 Fleer Genuine Insider Jake Plummer/Jon Kitna Error in mint condition. 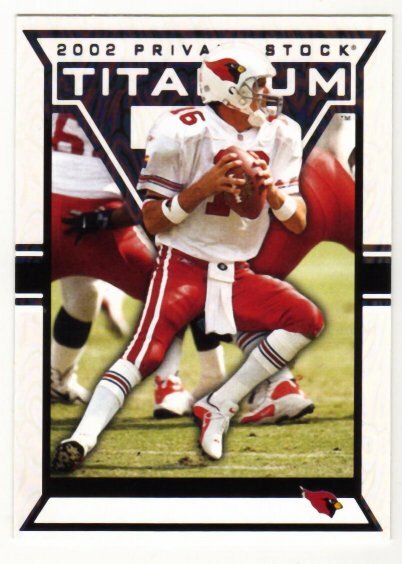 The front of the card is Jake Plummer but the back of the card is the back of Jon Kitna's card from this set.